This essay will gather several common situations with acer erecovery management stuck problem and give solutions to each situation. I've attempted to restore my Acer Aspire 5553 using the Acer eRecovery Management facility. Every went well but when it rebooted, the laptop has been hung for more than 4 hours showing the message "Setup is applying system settings". Try to push “F1”, “F12”, “Delete’ or “F8” (safe mode) to see if any of those get you past that screen. If not, you have to be patient enough to do a restart and install from disk. Reset Acer Aspire 5315 to factory settings using Acer eRecovery Management. This reformatted the c drive and reinstalled vista on it. 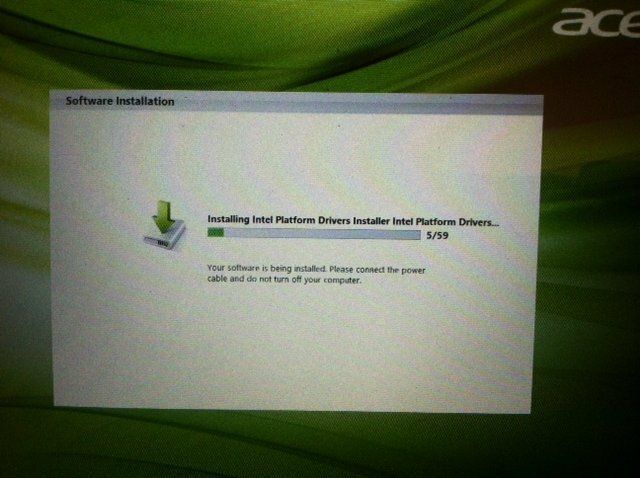 Having completed this it goes through an 8 step process to install software. It is stuck on step 7 of 8 which is the installation of eRecovery soloution. It just hangs on the screen and is a never ending please wait. Check whether the backup partition is still intact and formatted or not. If not, you should give it up and reset from recovery discs. Disabled user account security and try again. To do a system restore at boot using system recovery options. Trying to restore an Acer Aspire back to factory default. Forgot the password and now the computer will not let me go anywhere except Acer Recovery Management. Now, I’m in Acer eRecovery Management loop. Restart will only lead to recovery management. Try to unplug the computer, CMOS Battery and the hard drive; wait for several minutes and start the computer again. A friend gave me his laptop to look at as it would not boot. The problem is, when it's switched on it goes to Acer erecovery management no matter what I try, this includes all the safe mode options. It also will not quit from this and the power button needs to be held down to quit. I don't want to do a recovery/install just yet as there is files which he wants from it (Photos,music and docs). When Acer eRecovery repeatedly appears it means you must continue with it if you want to get Windows working again. Since there are import data on the computer your friend needs, you should first move them out. If your friend had kept backups of all his files in a different location you wouldn't be in the situation you're in now. Now, you can make a bootable media based on another healthy computer to boot his machine up, move his data out and continue Acer eRecovery Management work. Acer eRecovery Management stuck at 99 updating system. I am trying to reset my S3-951 to factory settings. When I run erecovery (Alt+F10 since Windows doesn't boot), the updating system step goes up to 99% and get stuck for hours and never continues. Turn off the computer when it gets stuck at 99%. Create a bootable media (with a partition software in it) based on another healthy computer to boot this computer up. Then change the boot flag on the Acer partition to yes, save and reboot. Then, you will need a Windows repair disk or a Windows installer DVD to do a startup repair (sometimes you will need to run it twice). Finally, the installation will continue as usual. This may be a hard drive issue. Read through this document and find an alternative way. Acer eRecovery Management backup stuck at 99%. Sometimes, it works again if you keep waiting for some time; sometimes not and replace with another set of DVD (better high quality DVD) will work. This is probably caused by old low quality of DVDs. See more from here. 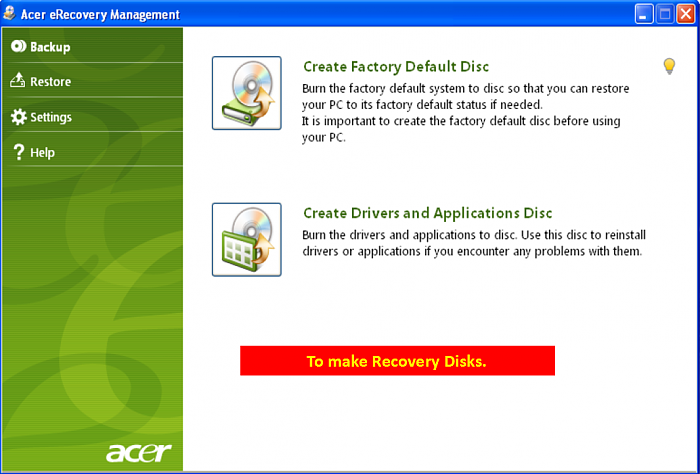 Above are most popular Acer eRecovery Management stuck problems. For all the problems, except for respectively solutions, there still an all mighty solution. 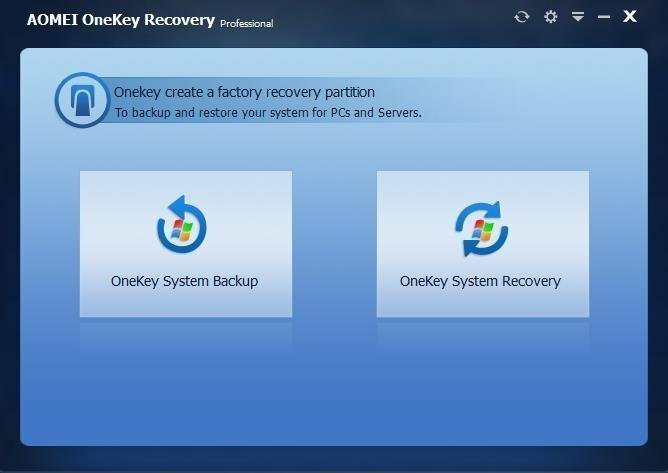 If you have used AOMEI OneKey Recovery, a professional system backup and restore tool, to make a recovery media you can shift to it to restore your operating system.